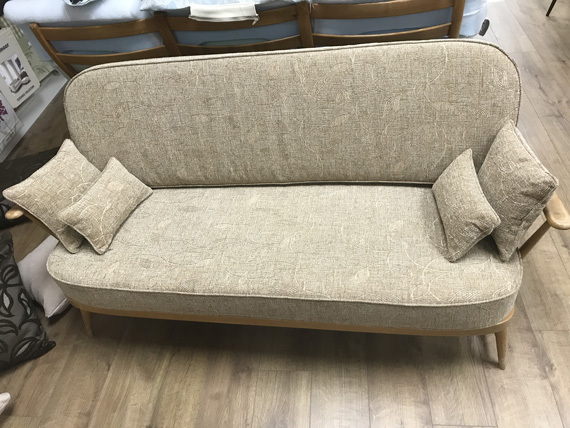 Our Ercol Furniture Cushion and Cover Service enables us to professionally re-cover existing Ercol furniture cushions, or make brand new cushions, no matter where you are located in the U.K! 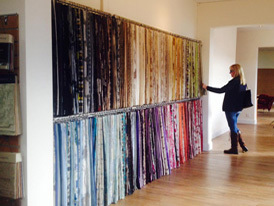 When it comes to fabrics, we have found over many years that our customers' tastes and requirements are as diverse and varied as the locations throughout the U.K. in which they live! 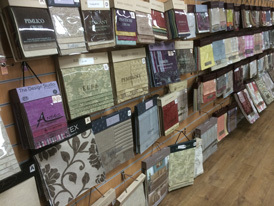 We have literally thousands of fabrics available and so we see no reason to restrict you to choosing from a limited range of 100, or less. 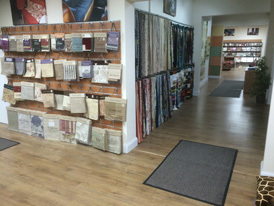 ALL of the fabrics we offer are non-clearance, hard wearing and sourced from reputable long established Mills, with whom we have dealt with long term. 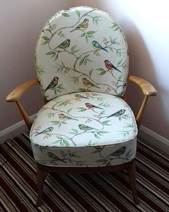 Whilst it would be true to say that not every fabric we have available is suitable for every type of Ercol furniture, we certainly have thousands that are! 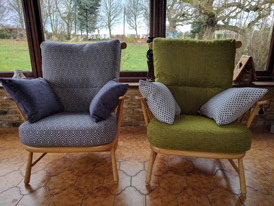 The fact that we are buying fabric for our entire 'Bristol Upholstery' business, means that we secure competitive prices….enabling us to make your replacement cushions in excellent quality fabrics, but without charging you unrealistically high prices. 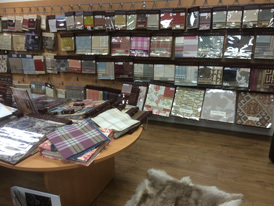 Although visiting our Showroom is the ideal way of you seeing our entire range of fabrics, if you don't live close enough to do this, then it's not a problem. 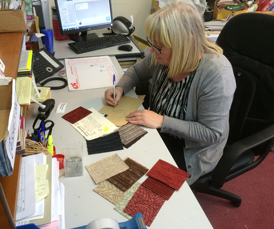 One of our ladies, Debbie, spends pretty much all of her full time job selecting and sending fabric sample swatches to potential customers all over the U.K. 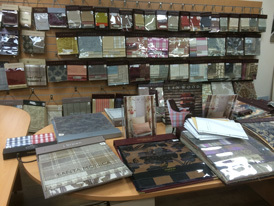 If you have some ideas as to what sort of fabrics you're interested in, i.e. 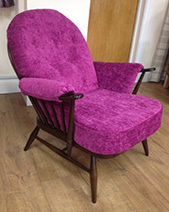 which colours, plain, semi-plain, patterned etc. etc. 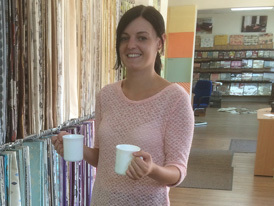 then Debbie will be pleased to obtain suitable fabric sample swatches from the Mills we deal with. 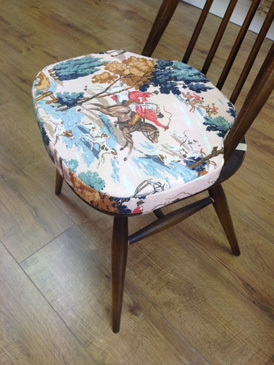 If you have any images of the sorts of fabric you're after, then of course that would help us greatly. 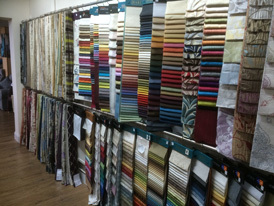 We post fabric sample swatches out to you free of charge, and of course without any obligation or pressure for you to place an order. 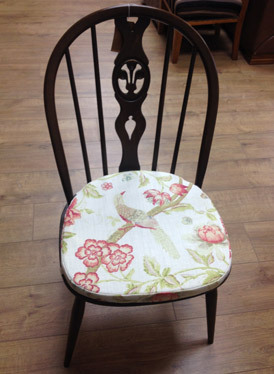 We appreciate that you may like to source your own fabric and we have no objection to this. 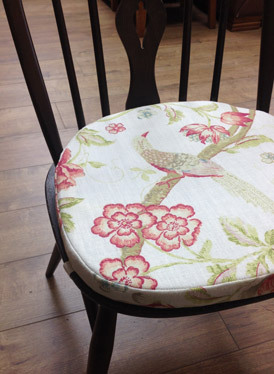 However, we wouldn't want you to spend money buying fabric elsewhere and then find that we were unable to use it! 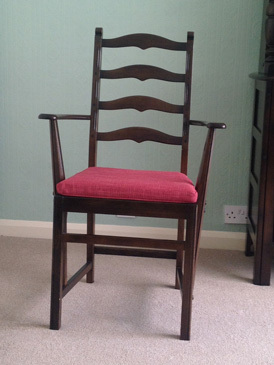 So, we would need your confirmation that your fabric is fire retardant to BS5852 Part 1 Ignition Source 1 (Match) and to receive a swatch of the fabric, in order for our Sewing Technicians to check its suitability for your particular model of Ercol furniture, prior to accepting your order. 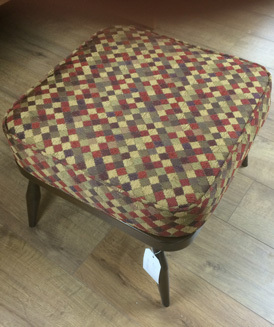 We are pleased to say that over recent years some of the well-established fabric Mills from whom we source our fabrics have introduced more and more Machine Washable upholstery fabrics. 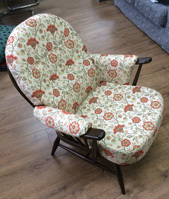 As a result many customers who have asked us to make replacement cushions for their Ercol furniture, have been delighted to be able to choose a fabric for their order that can be machine washed, rather than only dry cleaned. 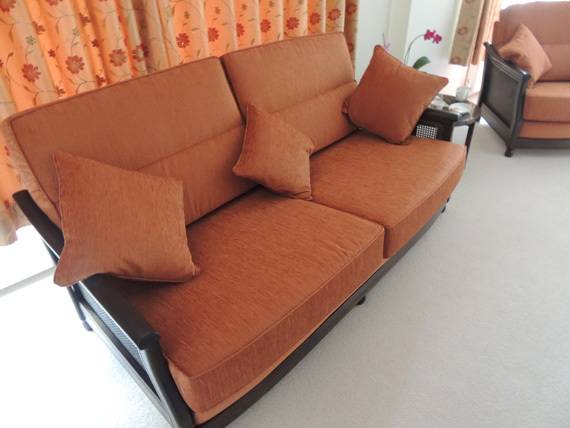 Of course this is really only an option if your particular cushions do not have buttons fitted. 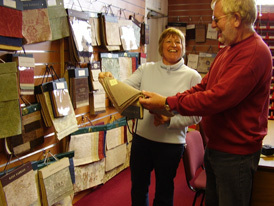 Bristol Upholstery and Soft Furnishings Co. is a trading style of The Caravan Seat Cover Centre Ltd. E. & O.E. 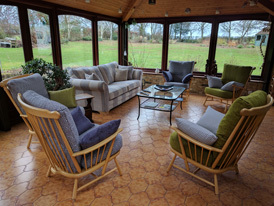 Our business is an independent family run company and we are not, and do not claim to be, connected to the original Ercol Company in any way.